Hank Marr’s Live At The Club 502 is as gritty and greasy as live organ music comes. But Marr is also a refined player and his set consists of pleasantly diverse repertoire. In the slipstream of organist Jimmy Smith’s popularity in the late fifties, a lot of organ players came up and throughout the sixties the burgeoning organ combo club scene was quite the thing in the USA’s big cities, particularly in the Mid-West. Organ combos, often consisting of only organ and drums, or expanded by a third element of sax or guitar, were cheap for club owners and tended to a black population that favored hot, entertaining music by accomplished players. Though not all organists could handle the big Hammond B3 machine in a viable artistic way, relying instead on cheap tricks and volumes that drowned out both colleagues and audiences. The men (as opposed to these ‘boys’) who further developed the art of B3 after the innovative Jimmy Smith were, among others, Don Patterson, John Patton, Richard ‘Groove’ Holmes, Jimmy McGriff, Brother Jack McDuff and Larry Young. Lest we forget, there were also a couple of dames (as opposed to the ‘girls’) who played ball, like Shirley Scott, Trudy Pitts and Gloria Coleman. Hank Marr, who hailed from Columbus, Ohio, (like Don Patterson) is certainly part of that pack. Not really a pioneer (but who really is, besides Jimmy Smith, Larry Young and the innovator of bass pedal playing, Lou Bennett?) but instead a prototypical ‘burner’: blues oozes out of his pores like raindrops in monsoon season. But at the same time refinement shows up in the guise of an interesting use of the B3’s stops and drawbars, which creates a big ensemble sound and ‘plucky’ and screamin’ lines. No doubt, he’s up there with McGriff and McDuff as the Hammond B3’s prime burners. Basie classic One O’Clock Jump and Up And Down swing mighty hard, while the catchy Easy Talk has a gentler flow. Marr’s minor hit single Greasy Spoon is a basic blues line, driven by Marr’s warm, atmospheric bass lines and a medium-slow, dragging tempo, decidedly capable of raising the stiffest stiff from the grave. The tension is heightened by Marr’s greasy right-hand lines. Guitarist Wilbert Longmire’s canny blues tune Freedom March includes Marr’s hottest solo. I remember New York showcases fine Marr balladry. 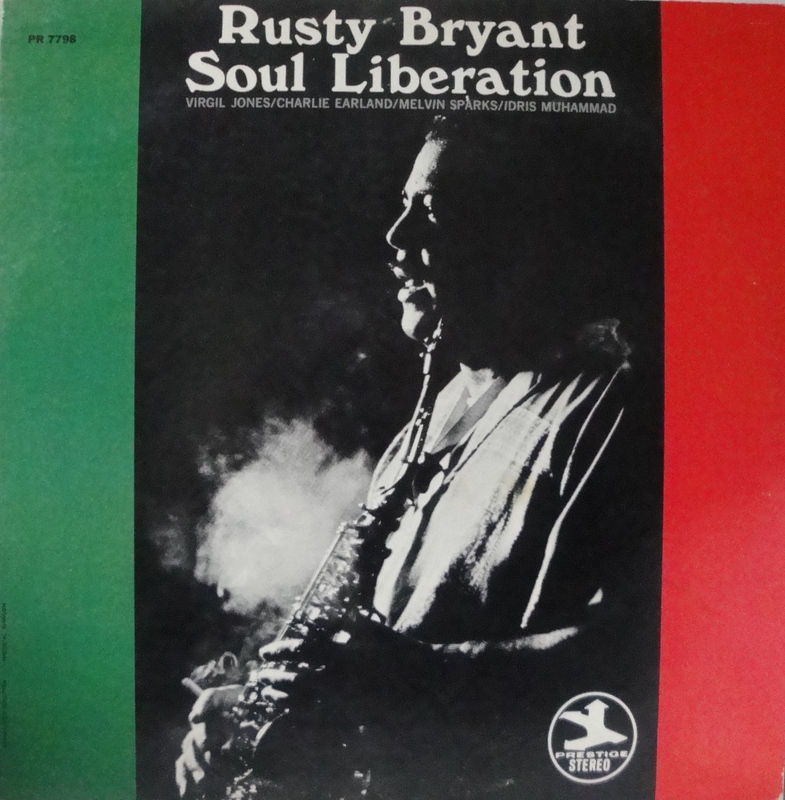 It also includes fine saxophone playing by Rusty Bryant. Bryant, a fellow native from Columbus, Ohio, alternates between alto and tenor saxophone. His alto work is in a ‘cleaner’ yet fiery bag (Just Friends) and his tenor work is more funky and hard-edged. He’d been in Marr’s group for years and they come together very well at the crossroads of blues and modern jazz. 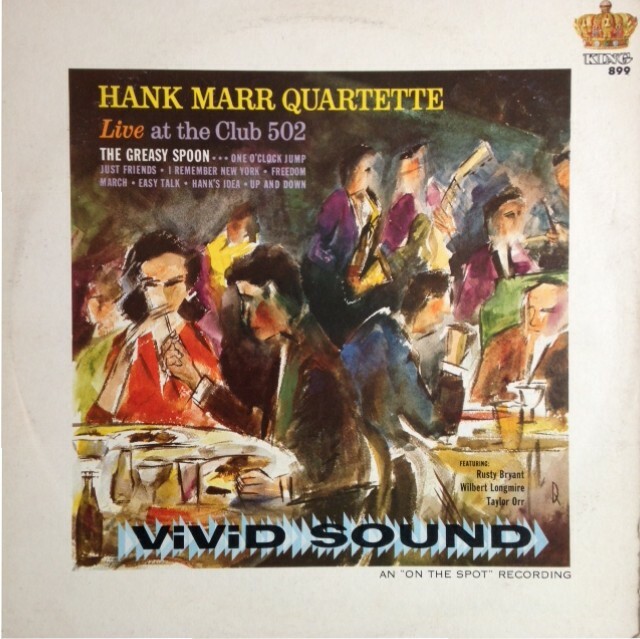 Hank Marr albums are pretty rare and Live At The Club 502 is no exception. No vinyl reissue or remastered CD. Such a shame, Marr’s performance gives us an enlightening and rousing view of organ music in the swinging American sixties.